Yes I’m that basic when autumn comes. I revolve my life around olpumpkin things as much as I can get it to. 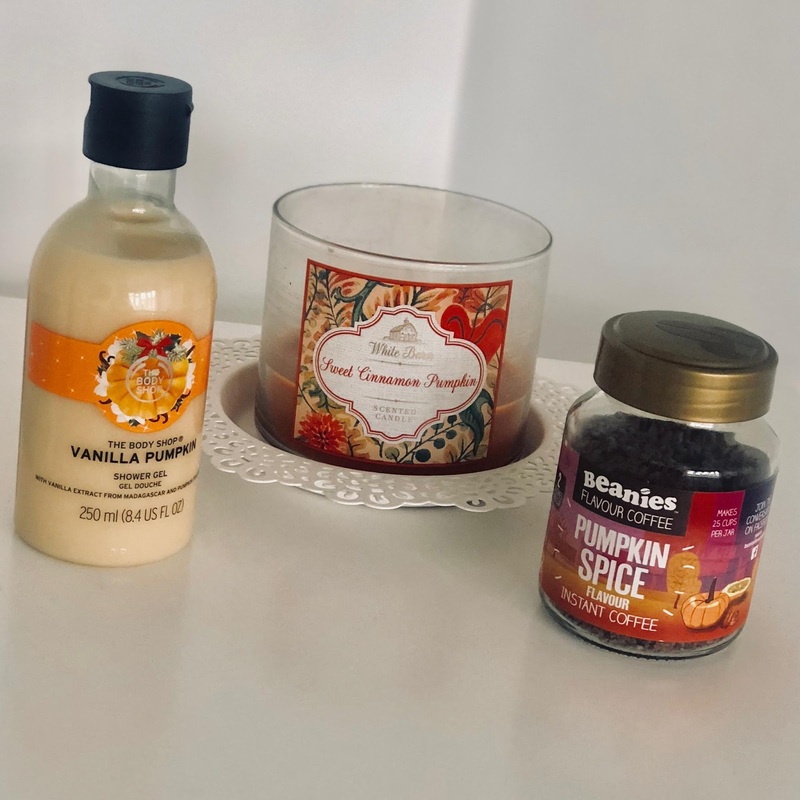 I know lots of you will be rolling your eyes but to the few people who are fellow pumpkin scented things lovers I’m hoping they love these as much as I really do. 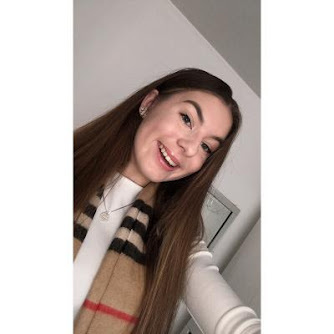 I love the typical autumn ‘vibes’ and getting cozy for the season - just by chance I’ve pumpkin scented products to make it more cozy to help me! I just love it so much and for anyone who feels the same why not share some of my favourite pumpkin products?? I don’t think many people know about this but a small coffee brand called beanies sell pumpkin spiced coffee and woah it’s amazing! It doesn’t taste like a pumpkin spiced latte, but it tastes quite similar!! I really love how sweet yet spicy it is, it makes me feel so autumnal so I’ve been drinking maybe 1 cup every few days and I think I’ll need to buy another jar soon. Another thing I think that’s pretty much expected in the post is a Pumpkin candle. Mine is from bath and body works, I ordered it off eBay and it’s in the scent ‘sweet cinnamon pumpkin’ and I’m so in love. The scent is pretty much self explanatory as that’s literally the best way to describe it. I really want to try more pumpkin candles as I love the smell! Finally is something I’ve admittedly had since last year and been saving till now to use, it’s the body shop vanilla Pumpkin shower gel. This scent is such a sweet smell with the Suttle hints of pumpkin and I love putting it all over my body, I just wanna eat it! It’s amazing and has such a strong scent that lingers I really want more pumpkin scented / flavoured things! I’m looking for more so why suggestions in the comments would be great. I hope my excitement for pumpkin scented things will rub off on you, they’re only out September / October give me a break. I absolutely adore autumn smells - they really get me into that autumn vibe I've been missing! Now we just need some colder weather and I'm sorted! Tbh im not really a fan of pumpkin taste or scent but i always find pumpkin candles are always in such pretty packaging! Everyone’s different I guess, they have the best packaging!! The vanilla pumpkin shower gel sounds amazing! How very autumnal! 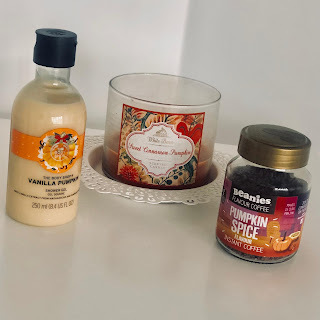 I'm not a huge fan of pumpkin scented things, in the autumn I usually just get my Christmas candles straight out because I much prefer those scents but I've heard amazing things about the Body Shop Vanilla Pumpkin stuff so I need to go into a store and smell it! I love autumnal scents such as pumpkin and cinnamon, especially for candles. I haven't tried an Autumnal scented body wash before but the one you've posted sounds amazing. I have a guilty pleasure for amything pumpkin flavored or scented. I hope they sell the beanie coffee in the states. green mountain coffee has a good k-cup of pumpkin spice :D Also, have you bought the pumpkin pie spice from trader joe's before? great to add to some coffee or baking! I’ll have to try it! I live in the uk so I can’t get it but I’d love to! I am going to have to try that coffee out! Great recommendations! Nice post! I don't usually get many pumpkin scented things but I do have a pumpkin candle which I love! I've always wanted to try that Pumpkin scent from The Body Shop but I can never find it in stores! Lately I've been loving Pumpkin scented hand soap from Bath & Body Works but I have ventured away from the candles and moved on to all things Caramel Apple this year it seems like! Completely agree! Would love to do that! Pumpkin Coffee sounds like a great idea, I must try that! So over here it's coming into Spring not Autumn/Fall (and pumpkin is a savoury-only food here haha!) so I've never really understood the pumpkin spice thing. But my husband runs a bath bomb/soap/candle factory and the pumpkin flavours are huuuuuge! I think I might be starting to come around. I'll have to see if I can order those products here. I love the Body shop Autumn stuff!! I need to try that body wash, I recently went into a shop and there's a new range that has a candy skull on the front, and I'm not sure what it's called but its amazing! I never realised the smell of pumpkin was so nice until I was cooking some the other day and it smells amazing! Nothing basic about the smell of pumpkin!